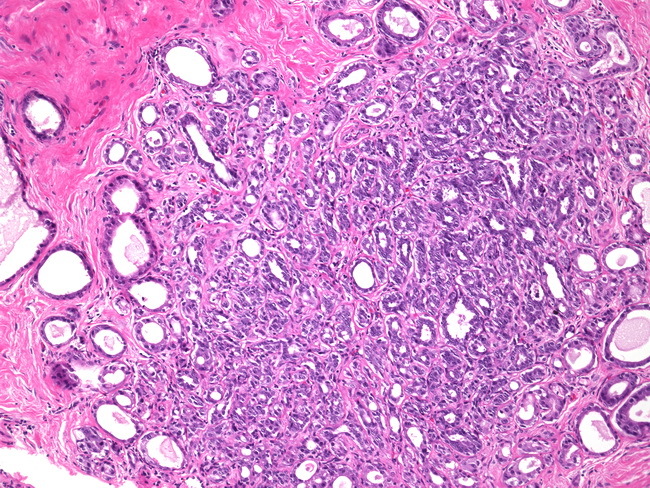 Sclerosing adenosis is a benign hyperplastic process that may be mistaken for carcinoma. The average age at presentation is about 30 yrs. The lesion retains is lobular configuration and is more cellular centrally.